Thirteen-year-old Gianni Mandile will have quite the story to return to school with this fall. 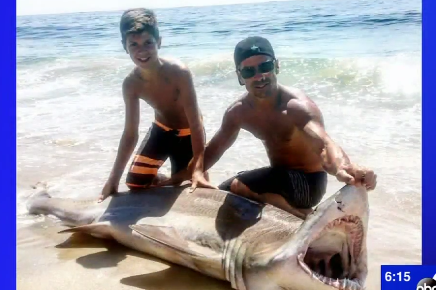 According to an interview with WABC, the boy recently reeled in a 200-pound, 7-foot shark while surfcasting with his dad on Long Beach Island. WABC reporter Sandra Bookman interviewed the boy and his father, Joe, who said they were surprised and excited by the catch, adding that soon after, they released the shark back into the water, but not before taking a video and photos to memorialize the moment. Read the full interview at WABC.